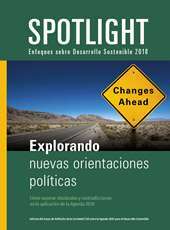 The Civil Society Reflection Group (CSRG) on Global Development Perspectives will be releasing a new study which calls for both goals and commitments – this time particularly by the rich – if the U.N.’s 17 proposed new Sustainable Development Goals (SDGs) in the post-2015 development agenda are to succeed. The 23-27 March session of the Post-2015 intergovernmental negotiations will focus on the Sustainable Development Goals and Targets. In this context on the 18th March, at the special request by the Co-facilitators, the Bureau of the UN Statistical Commission (UNSC) provided a “Technical report on the process of the development of an indicator framework for the goals and targets of the post-2015 development agenda”. This has re-sparked ongoing discussion over whether the indicators should be technical or politically negotiated. On Monday, the 23rd of March 2015, government representatives will meet at UN Headquarters for five days of negotiations on the SDG’s goals, targets and indicators. Governments should resist the temptation –particularly when looking at targets and indicators- to be restricted by existing quantitative monitoring systems and the current (and limited) availability of data. Public-Private Partnerships: Benefiting or hindering international development? On the 18th March, the Public Services International Research Unit (PSIRU) hosted a side event in New York to promote the report “Why Public-Private-Partnerships don’t work”. The report assessed the impact of Public-Private Partnerships (PPPs) actually undertaken in rich and poor countries. These global case studies show that there is no evidence that PPPs are cheaper or more convenient for governments in the long-term. The UN Statistical Commission concluded its meeting in New York last March 6 without agreeing on a list of indicators to measure the achievement of the Sustainable Development Goals (SDGs). The body is composed of 24 governments and it oversees the work of the UN statistical Division, the most important global agency on world indicators, in charge, among other things of defining how GDP is conceptualized and counted. The UN Statistical Commission discussed the challenges of the Post-2015 Development Agenda. This included implementation, measuring or monitoring progress as well as accountability. This includes a pragmatic look at the available data and implications for the Sustainable Development Goal indicators. Linkages between different agendas being negotiated in parallel such as Financing for Development, Post-2015 and Climate were starkly noticeable. 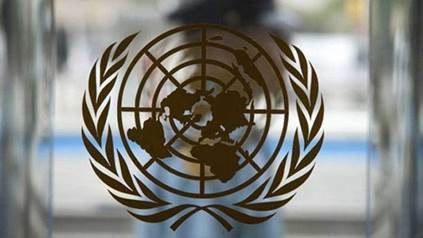 The United Nations negotiations on the Post-2015 Development Agenda in New York saw Member States inching towards a political Declaration amidst considerable differences. The Declaration is to lay the broader framework on which the more specific elements of the Agenda will rest in a separate outcome document. These will be adopted at the UN Summit on 25-27 September tilted "Delivering on and Implementing a Transformative Post-2015 Development Agenda".